"This 25-color hand-pulled silk screen print (serigraph) was produced with Max Hayslette at his Seattle atelier and published by Larry Winn in the 1980. 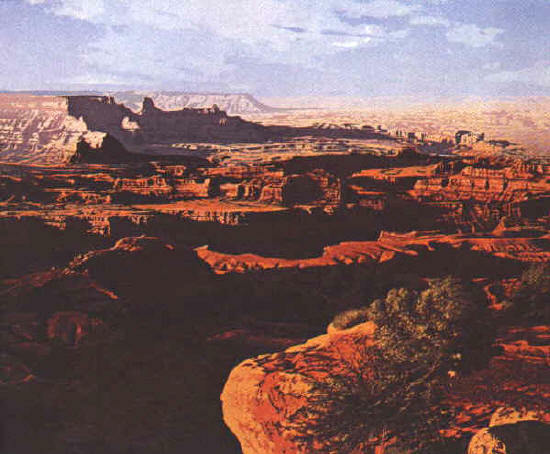 This print was used as a backdrop for a murder in a Universal Television's series "Murder, She Wrote episode, "Murder at the Oasis". Also, the number 1 print hung in the White House and elicited a very nice letter from President Ronald Reagan. Robert Redford and I hung an Artist's Proof in his office at his Sundance Ski Resort. This edition was extremely popular and sold out 20 +- years ago."